Weight: .8 oz. (23 g.) / 2.4 oz. (69 g.) in total box of 6 pcs. Welcome to Day #10 of Chocolate, Holiday Spices and Maple Theme Week. 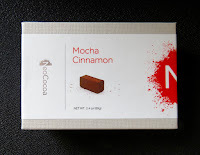 Today's Mocha Cinnamon truffles were from Neo Cocoa (Belmont, CA) and were part of holiday snack duo on the go. 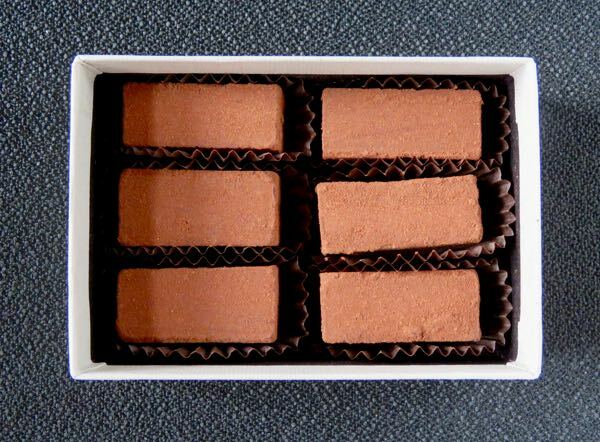 These Neo Cocoa rectangular truffles were lightly dusted with dark cocoa powder, had a roasted coffee (espresso) and cinnamon (cassia) aroma, a creamy, velvety texture, and a rich 72% dark chocolate flavor. 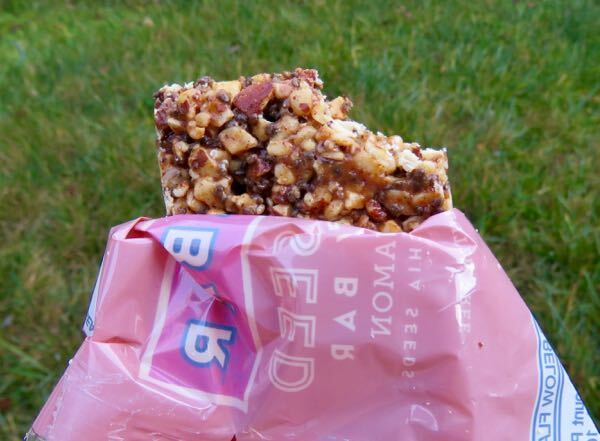 I paired these silky chocolate pieces with a snack "opposite:" a Larabar Nut and Seed Maple and Cinnamon Crunchy Bar. * Both were great with fresh fruit. The company specializes in the heart of truffles, meaning the lovely silky smooth chocolate "insides" of some chocolates covered with a harder chocolate shell or couverture. Neo Cocoa founder Christine Doerr was trained as a chef and worked as a graphic designer, but she was eventually drawn to chocolate. With the help of La Cocina (a kitchen incubator in San Francisco) she launched her own company, offering soft, shell-less truffles (the "hearts of truffles") in a variety of delicious flavors. 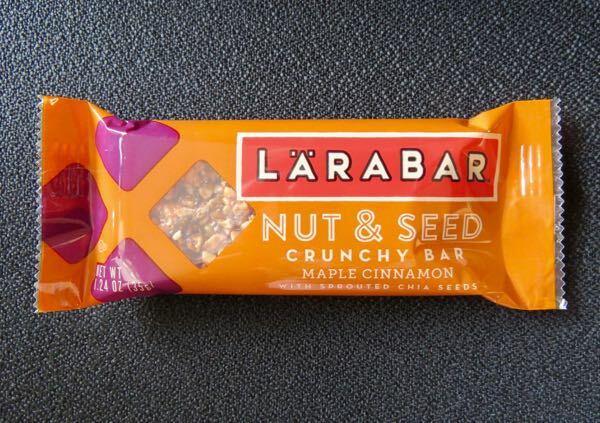 *This Larabar Maple and Cinnamon Crunchy Bar did not contain any chocolate.